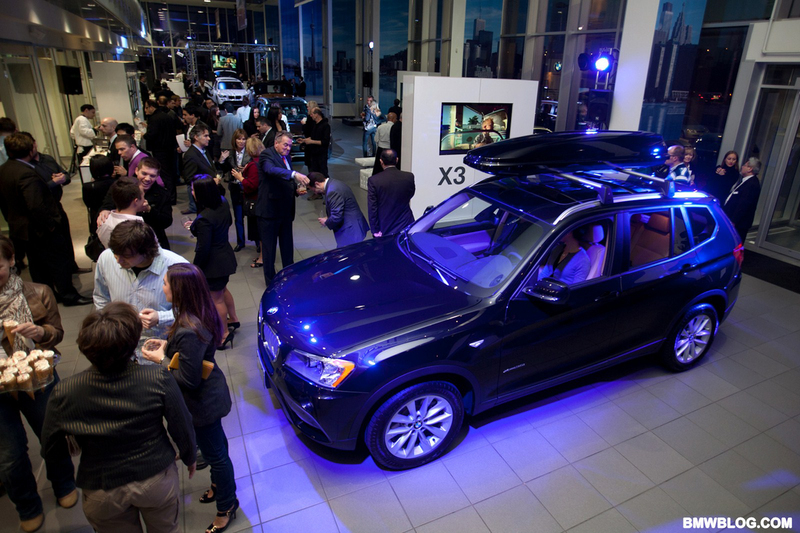 BMWBLOG had the pleasure of attending BMW Toronto’s X1 and X3 gala launch, and it proved to be an auspicious occasion, indeed. Ushered into the all-glass building from the valet, I was welcomed to a night of fine foods and deserts, flowing drinks and good conversation. Of course, there were two guests of honor present, and both rocked BMW’s famed “xDrive” all-wheel-drive system. 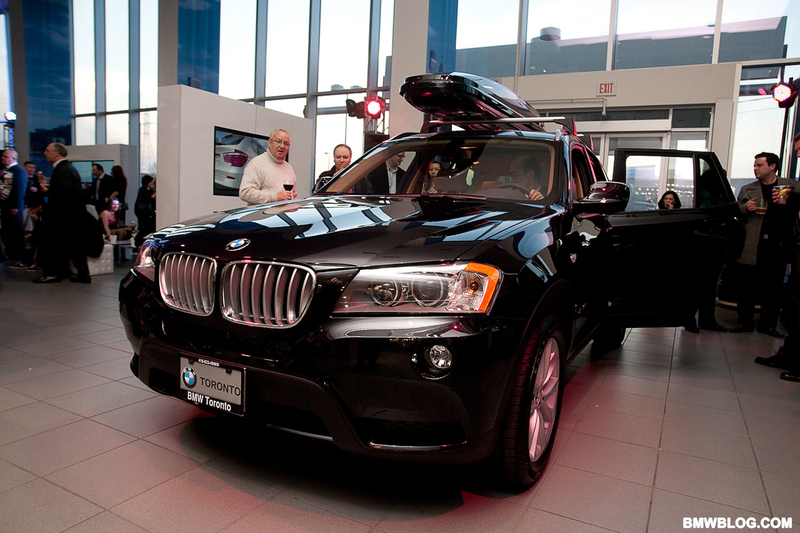 To the well-dressed Canadian guests, all-wheel-drive is an important feature and its inclusion on the X1 and X3 bodes well for future sales in the Canadian market. The new X3 has taken the market by storm, and it could well go on to become one of BMW’s most important cars in the market. 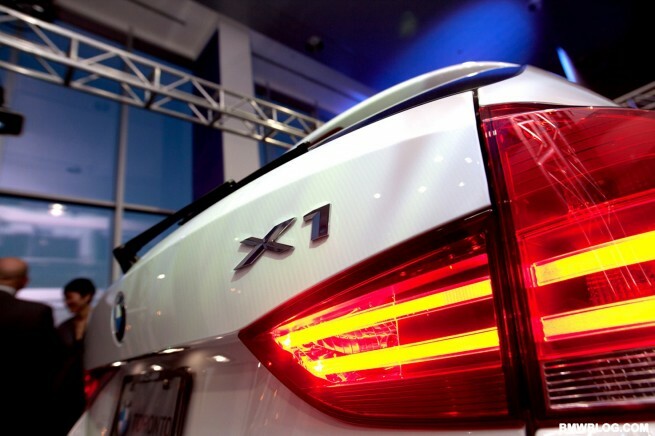 The X3 xDrive28i starts at $41,900 MSRP in Canadian dollars, equipped with one of the lightest six-cylinder engines in its class – thanks to magnesium construction of the cylinders and crankcase. This inline 6 produces a healthy 240hp and 221 lb-ft of torque with average consumption of 9.5 l/100km. The X3 xDrive35i starts at $46,900 and comes equipped with the brilliant N55 twin-scroll single-turbo inline 6. For those with a hankering for more power and speed, this engine will be the choice with 300hp and 295 lb-ft of torque available from only 1,300 rpm. Note that consumption is actually lower for the turbocharged 35i model, with average consumption totaling 8.8 l/100km. After a seat behind the wheel, trading opinions and thoughts with other guests, and careful observations while circling both cars with beer-in-hand, it’s clear that BMW have two winners on their hands. We appreciate BMW Toronto’s top notch hospitality and we look forward to reporting National sales figures for these ‘X cars’ in both Canada and the USA. Standby for future Drive Reviews brought to you exclusively by BMWBLOG – your online authority for BMW Group news and reviews. 15% spread between Canadian price and American price. Good job! it shows the true colors of the cars. Lets wait to hit this on stores worldwide.